Established in 1992, Professional Ontario Landscaping Inc. provides an array of complete and customized, professional landscaping services for residential, commercial and industrial customers. Our experienced crew of landscaping technicians deliver quality, reliable service at affordable prices. The quality of our work speaks for itself—we take pride in every landscape project we complete because of our craftsmanship and attention to detail. 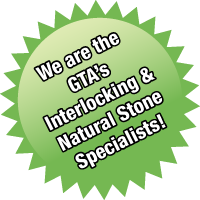 We are the GTA’s Interlocking & Natural Stone Specialists!